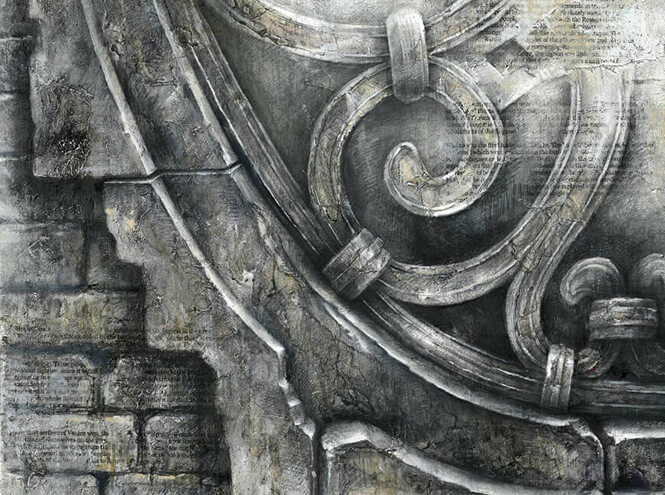 Part of a series of 4 etchings. 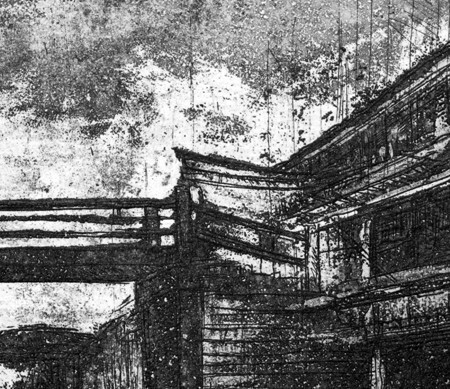 Again, to celebrate his journey to the South Eastern province of China, Ian Murphy has produced a series of etchings illustrating the fragile, historic water town in Wuzhen. 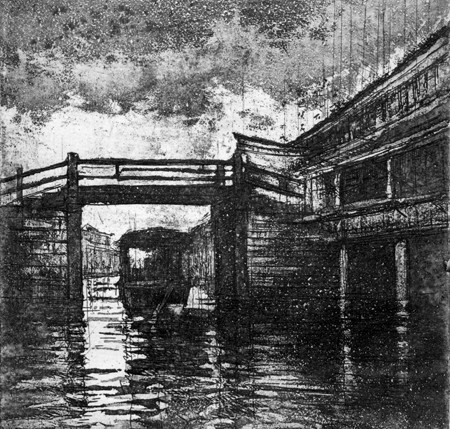 In this image the old bridge creates a powerful silhouette, framing the small boat meandering down the narrow canal system. 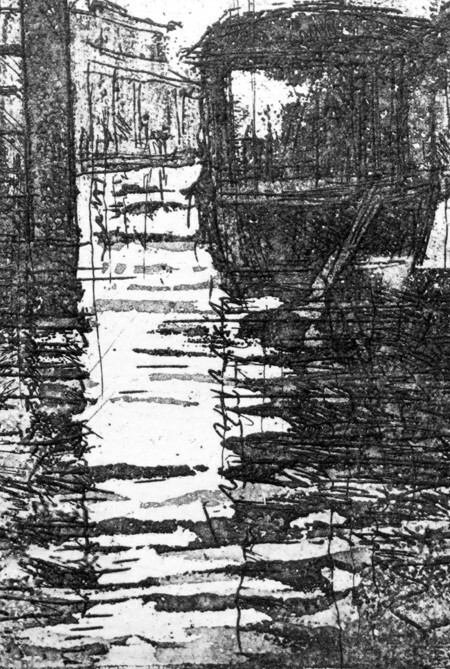 Again, this is quite a loose, gestural, etch, purposefully highlighting the tactile and frail qualities in the waterside and wooden buildings.